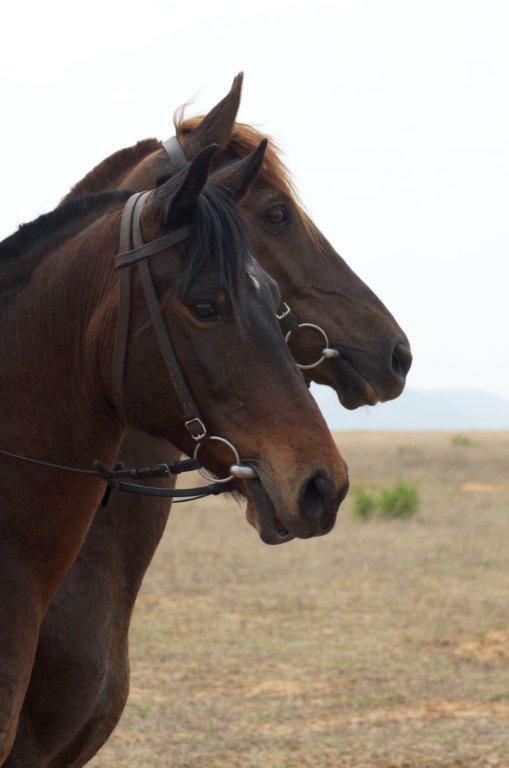 Would you like to join us on a sponsored ride through the Waterberg in South Africa to raise funds for the Waterberg Welfare Society Trust? We are looking for riders! 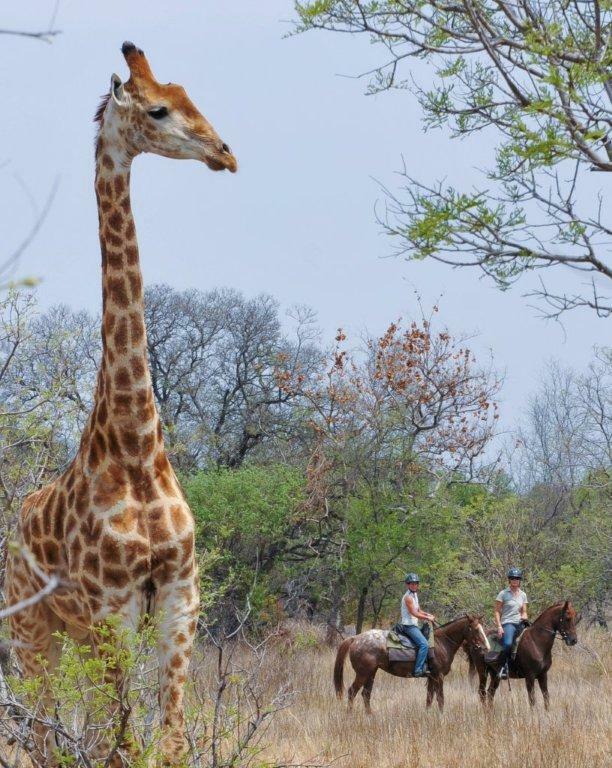 Horizon Horseback Adventures have kindly offered to organise a special safari, taking riders through private game reserves, whose owners have generously offered to host our party. It will be an exploratory venture, indeed a unique opportunity to ride alongside wild animals in this beautiful area, now proclaimed a UNESCO biosphere. 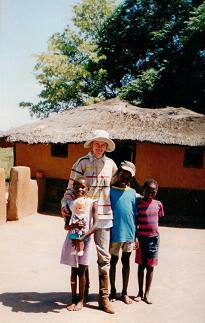 The group will be led by Sophie Neville, who became a horse safari guide in the Waterberg back in 1992, and is now a trustee of WWST. This enables anyone from the UK to depart from Heathrow on Saturday 24th January and arrive back in the UK on Sunday 1st February. DAY 1: You will be collected from O.R Tambo international airport, Johannesburg and driven north to Horizon safari lodge (approx. 2.5 hours) in time for lunch. In the afternoon we will enjoy a short introductory ride to ensure everyone’s horses are suitable and stirrups are set correctly. 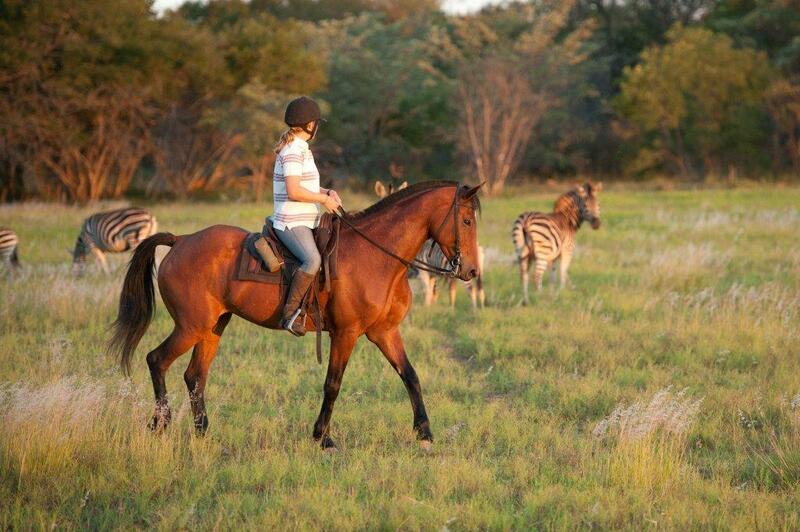 Horizon’s first passion is its horses and the adjoining landscape is heaven for riders. Miles of sandy tracks enable us to take long canters, while keeping an eye out for wildlife. Our first night will be spent on Triple B Ranch, a traditional homestead in the heart of the Waterberg biosphere reserve. DAY 2: We’re off! Today we will ride from Horizon lodge to Koshari game ranch, a 1300ha reserve that will whet your appetite for all things ‘Waterberg’. The area is home to a large number of animal species as well as 250 species of bird. We have a good chance of seeing plains game including giraffe, zebra and many antelope – and will take time to view the buffalo. The night will be spent in tented accommodation at Koshari with an authentic African dinner served under the stars. 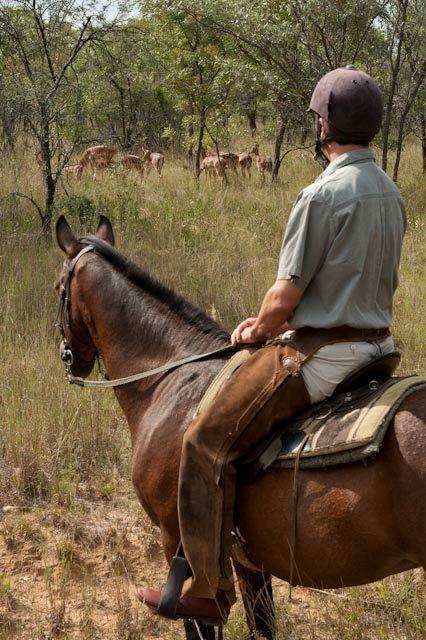 Day 3: Today we will enjoy a full day ride on Ant’s Nest and Ant’s Hill private game reserve. The diverse topography means that it supports over 40 species of game including giraffe, white rhino, sable antelope, buffalo, nyala, gemsbok (Oryx), kudu, Livingstone eland, blue wildebeest (gnu), red hartebeest, zebra, impala, bushbuck, duiker, steenbuck, mountain reedbuck, waterbuck, warthog, blesbuck, baboons, bush-pig, klipspringer, leopard, jackal and brown hyena to name but no lion! 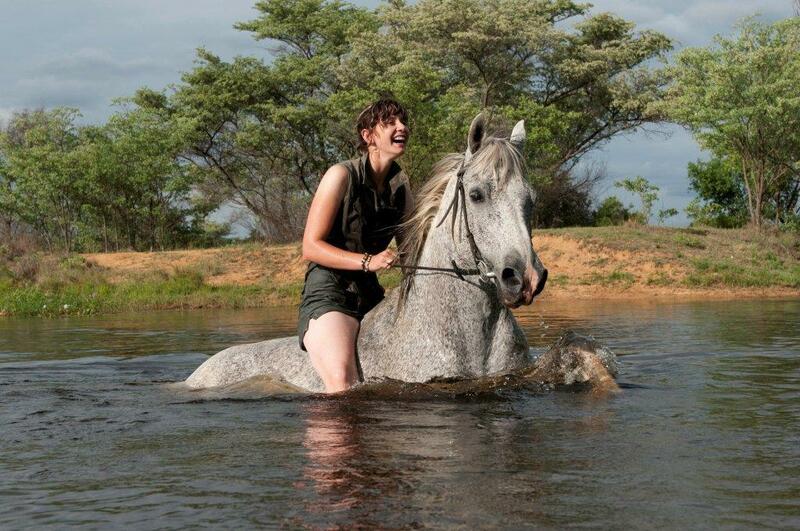 We should be able to fit in a swim with the horse before arriving back at Koshari in time for a much-needed sundowner drink and another night’s camping. DAY 4: Today we will ride from Ant’s reserve to Lindani. 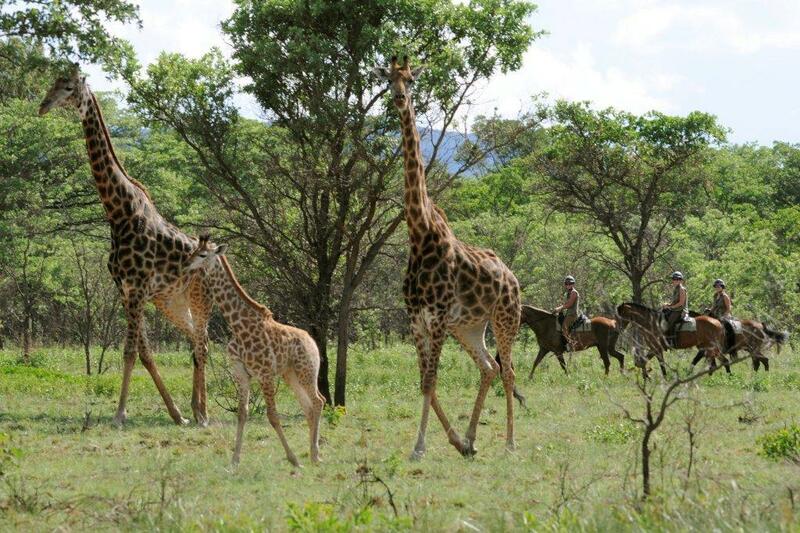 This stunning 3,800ha game farm and safari lodge offers another brilliant game viewing opportunity as well as fantastic going for the horses. With large areas of open savannah bushveld and gently winding sandy tracks, that stretch for many kilometres, some fun will surely be had here! That night at Lindani we will be joined by resident astronomer Dr Phil Calcott who will lead us on a ‘night sky safari’. In this hugely informative and engaging presentation you will learn about constellations, the life-cycle of stars and be able to see the planets ‘live’ with the help of impressive telescopic equipment. The Waterberg is a fantastic site from which to star-gaze as there is no light pollution and Dr Phil’s comedic style will have you all leaving as budding astronomers. 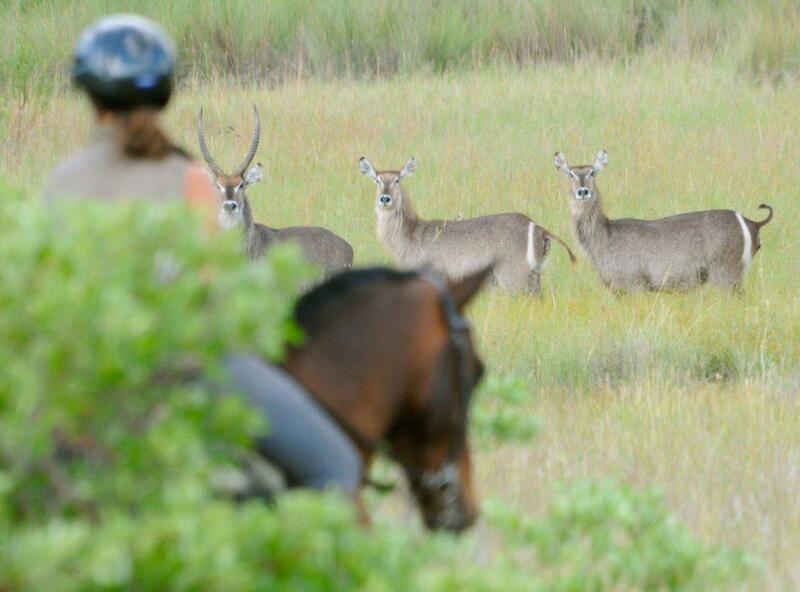 DAY 5: From Lindani we ride to Jembisa, a private reserve and lodge that looks down over the Palala river. The ride into Jembisa will take us across open savannah and wetlands and down into the Palala Valley where the river has cut a deep gorge into the sandstone. 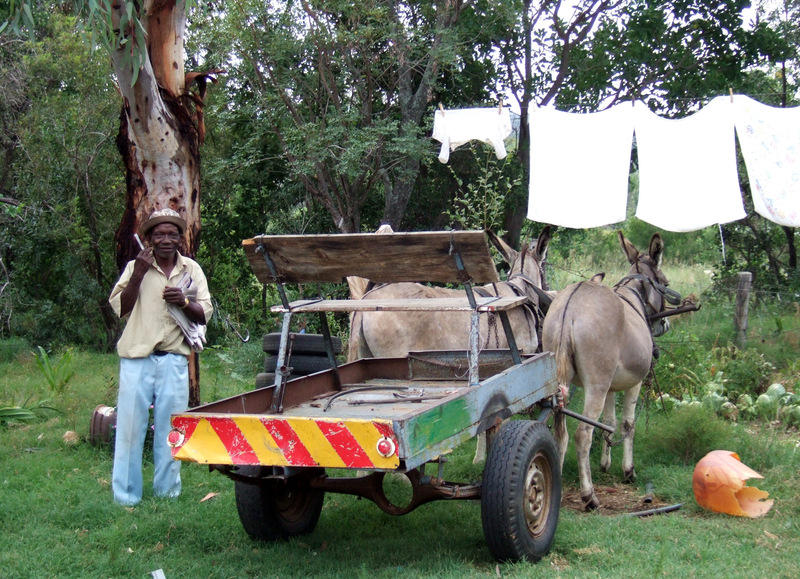 From the Palala River we will ride on, up the bank and into Syringa woodland and mixed bushveld. Here we can try to track giraffe as we make our way past iron age archaeological sites. 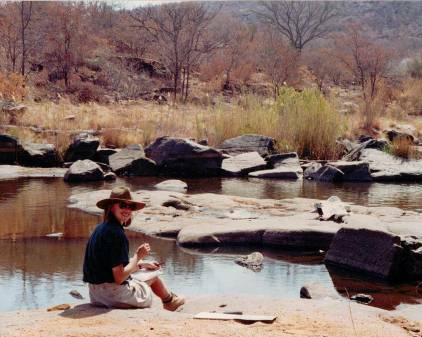 Jembisa occupies a beautiful and dramatic spot in the Waterberg wilderness where a wide variety of wildlife and bird species can be seen. The lodge offers saddle weary travellers the chance to swim or have a massage and is much celebrated for its excellent food. DAY 6: Today we ride from Jembisa back to our starting point – Horizon Horseback. It’s a long, long way, so this will be the most challenging leg of the journey. 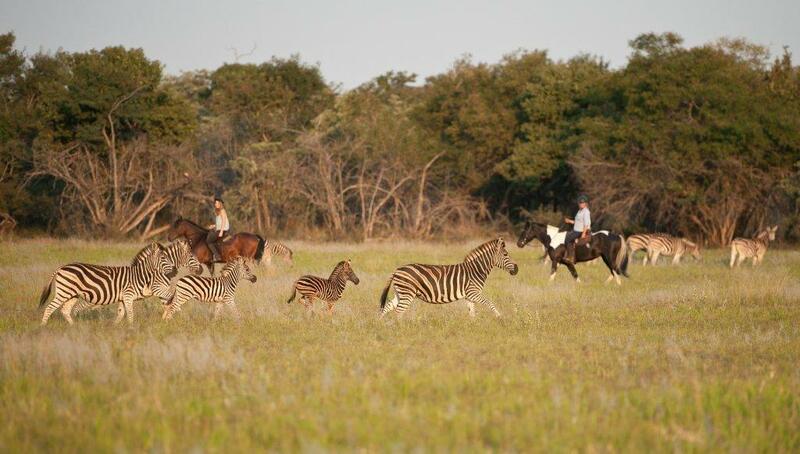 Hopefully we will arrive in time for sundowners on the plains where zebra and antelope graze with the horses. The atmosphere of the lodge and its team of passionate and friendly staff will make you feel instantly at home. Enchanting entertainment courtesy of the Sotho choir is planned – the perfect accompaniment to an African sunset. DAY 7: Unless you want to collapse by the pool, our last morning will be spent riding in the game reserve at Horizon where once again we have a great chance of viewing animals including giraffe, zebra, impala, kudu, warthog and even hippo. 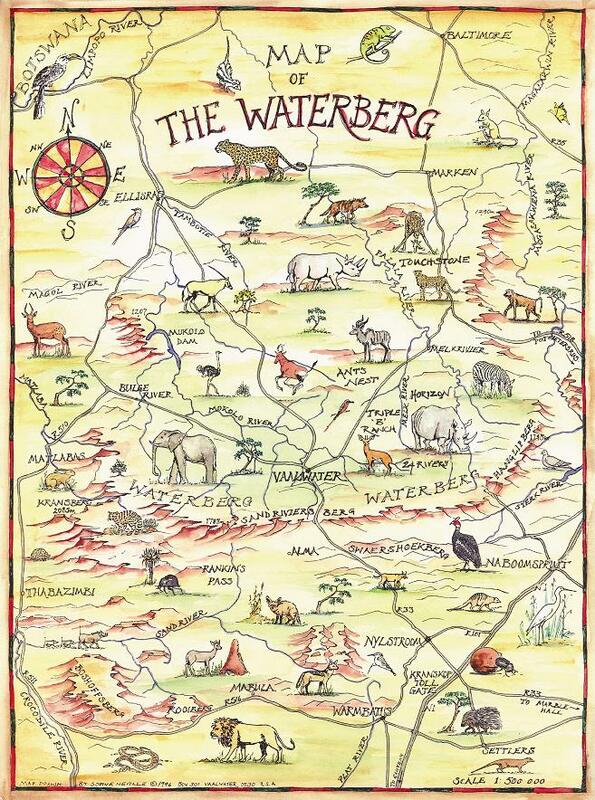 The ride will be followed by lunch and a trip to the Waterberg Welfare Society visitor centre at Timothy House, Vaalwater to meet some of the recipients of your generous sponsorship. This is, after all, what this ride is really about! The cost of safari itself is £1500, per person sharing. This includes airport transfers, riding, accommodation, food and drinks. It does not include flights, tips or travel insurance – which you will need. To secure your place Horizon will require a non-returnable deposit of £500. 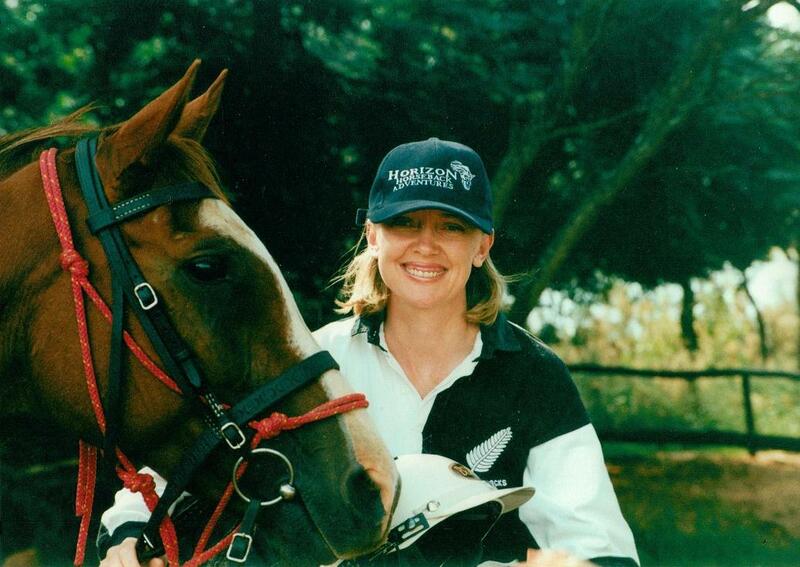 The balance of £1,000 must have been paid 6 weeks in advance to Horizon Horseback before the trip commences. 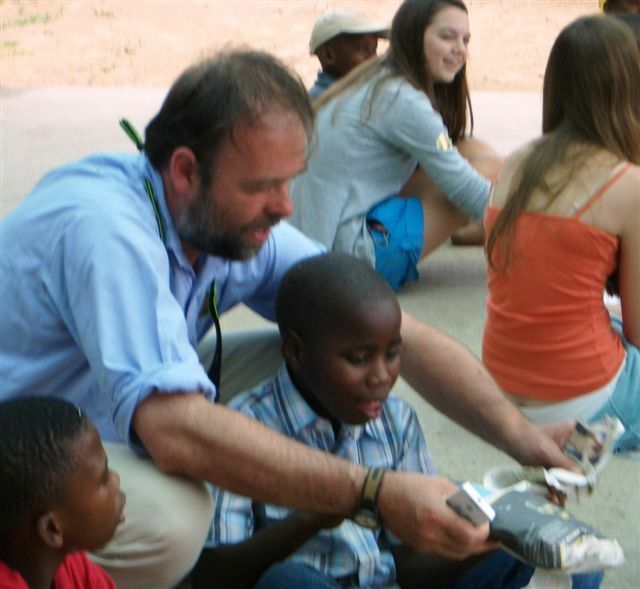 To participate you need to raise a minimum sponsorship of £1000 for the Waterberg Welfare Society Trust. As a registered UK charity, Gift Aid can then be added. We can help you with fundraising ideas. While we encourage riders to find sponsorship some of us are raising the donation of £1,000 in other ways such as hosting a sale or asking for donations instead of birthday gifts and then gaining matched funding. You will need to get fit as we may be covering 30km to 50kms a day. It will be high summer in South Africa, so the bushveldt will be green and antelope will have young at foot. It can be hot and sunny or can be overcast and rainy but will not get cold. The itinerary may change – but hopefully only for the better! 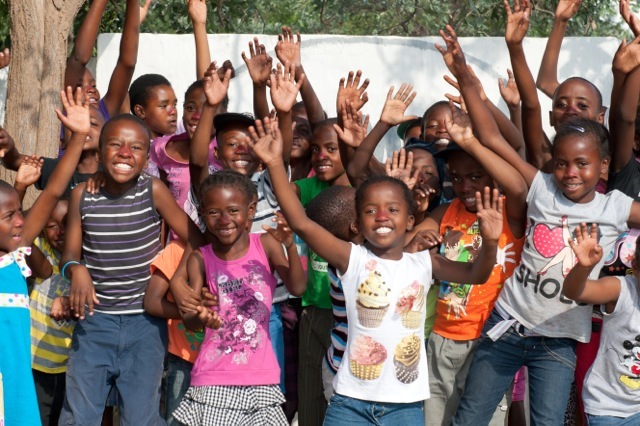 We find it is best if people book their own flights to Johannesburg – try Trailfinders or Flight Centre. NB: please book flights that arrive in S.Africa no later than 9.00am and depart from Johannesburg no earlier than 7.00pm. Should you need to arrive late or depart early, a private transfer will be supplied at additional cost. Make your way to the information desk in the arrivals hall where you will be met and driven to the Horizon safari lodge for lunch. 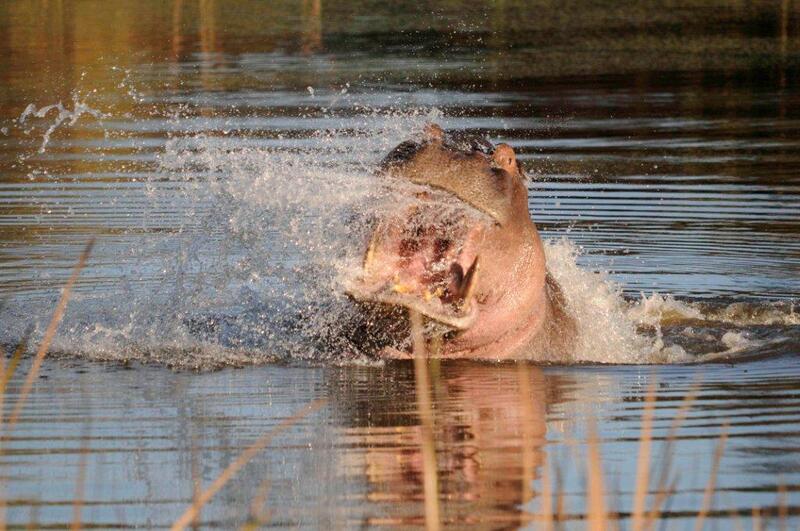 At the end of the safari we will arrive at Johannesburg airport at 5pm suitable for all flights departing after 7 pm. Do I need a visa? You must be in possession of a passport that is valid for at least six months after your return date and has at least 3 blank pages. Visas are not needed for those with British passports. Please check if you come from elsewhere. What vaccinations do I need? 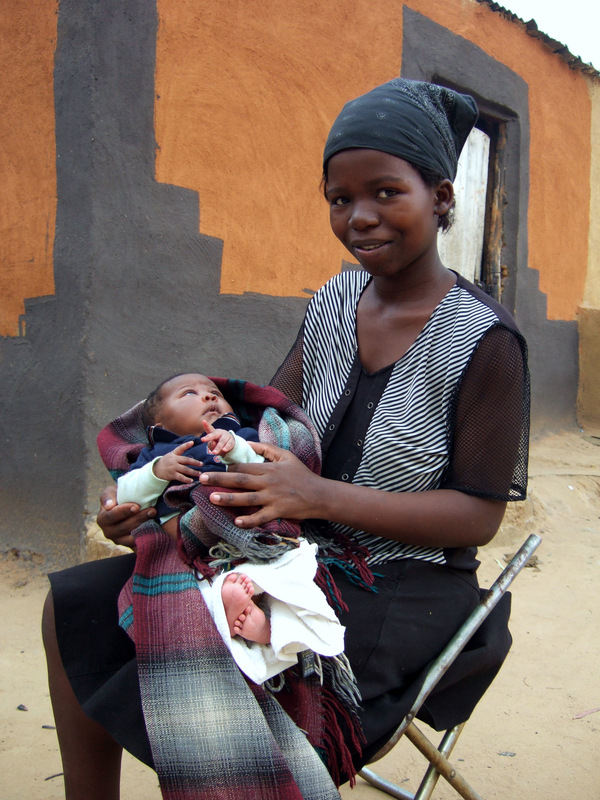 Vaccinations and malaria medications are not required however we recommend your tetanus to be up to date. Are riding helmets compulsory? Yes, hard hats are mandatory and you will not be able to ride without one. We can provide helmets, but suggest you bring their own. We do not provide half-chaps but might have the odd pair extra should they be needed. What should I bring? As well as comfortable riding clothes and your hard hat, please bring the following; Bum bag, lip salve, strong sun protection cream factor 20 or higher, short boots and chaps. (Long rubber boots are not advised), swimming costume, light weight long sleeved shirts, raincoat, camera with memory cards and camera batteries, small torch (head torch style highly recommended) your own towels and toiletries. What is the pace of the riding? This safari is for fit, experienced riders. You must be someone who rides at least twice a week, be comfortable at an extended canter and be able to cope with long hours in the saddle. What is included in the package price? 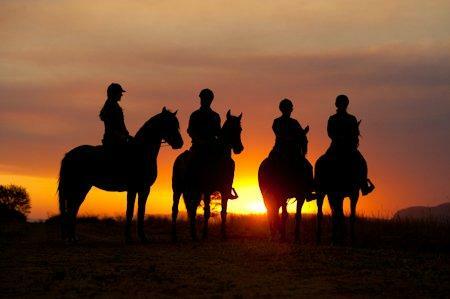 Accommodation, riding, meals, all beverages including house wines and a selection of spirits. The cost does not include international air flights, travel insurance or gratuities. What is the accommodation like? This will vary from A-frame tents with beds, sheets and duvets and ensuite bathrooms to comfortable guest houses with shared bathrooms. Meals are picnic lunches and evening meals cooked around the fire. Single supplements? Bookings are taken on a ‘willing to share basis’. If you want a single room there would be 50% supplement. Useful contact numbers: Please give loved ones who may need to contact you for any reason can contact Laura on 0027(0)83-4191929 or laura@ridinginafrica.com. In the case of a badly delayed flight: please dial 0027(0)834191929 during the day and after hours on +27(0)14755-4009. Money: We suggest you don’t change too much money into the local currency as your holiday is fully inclusive – however there is a local craft shop! Gratuities are at your discretion and can be paid in pounds, euros or dollars.